Moccasins worn by Rosa Little Moon. 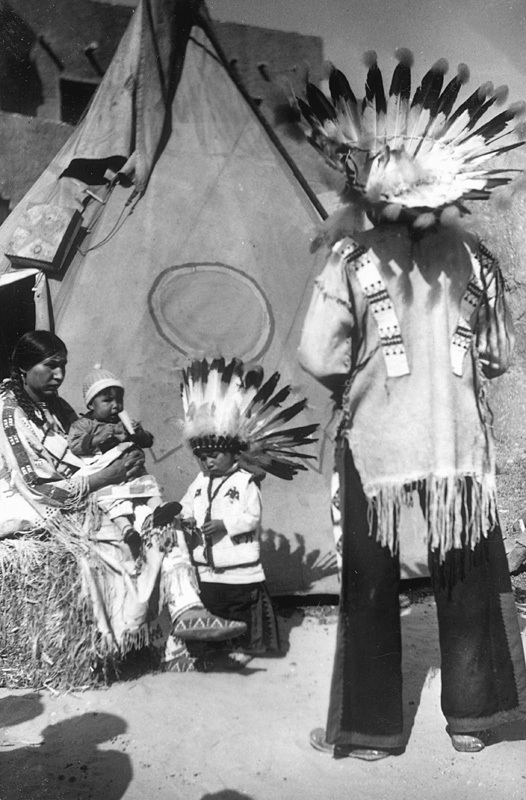 In the photo, Rosa Little Moon wears the moccasins while holding baby Wilson. Joe Little Moon's back is to the camera, while Francis stands in front of his mother.